Engage Toshihide Iguchi to speak at your next conference on how to prevent fraud from his first hand experience. Iguchi is the former EVP and US Government Bond trader at Daiwa Bank’s New York Branch, who was responsible for USD 1.1 billion in unauthorised trading losses accumulated over a period of 12 years beginning in 1983. Japanese born, and graduated from a U.S. college, Toshihide Iguchi joined Daiwa Bank’s NY branch in 1976. While he was a securities custody officer, he was given a secondary role of managing the bank’s bond portfolio. His experiences through one of the most profound and the longest rogue trading situations in history has given him valuable insight into the psychology of people– traders, corporate management, banking regulators, auditors, lawyers, judges, etc. His mission is to educate the public on what rogue trading is all about by dispelling the myths surrounding it so that we may avoid further incidents of rogue trading. Toshihide Iguchi has authored seven books in both the fiction and non-fiction genre. 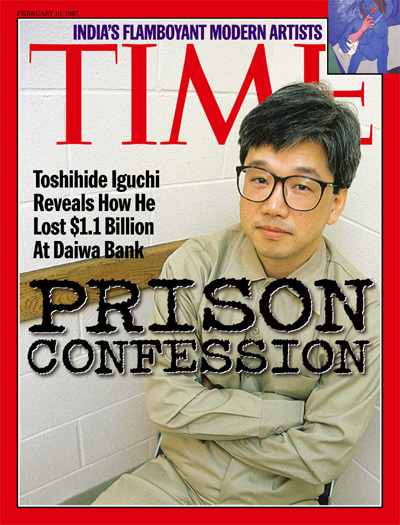 His book, Confession, was written from a maximum security solitary cell in a Manhattan jail, and became a #1 bestseller in Japan. 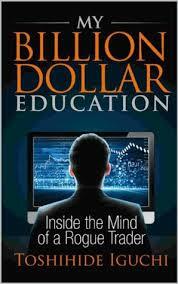 His latest book, My Billion Dollar Education: Inside the Mind of a Rogue Trader, was published in April, 2014 and tells the true story of a rogue trader, whose decision to right a wrong ignited a series of political maneuvering by American and Japanese officials, leading to the expulsion of a major Japanese bank from the U.S. The trader looks back on his psychological struggles and redemption, describing the patterns and psychology of rogue trading and addresses the core issues. The book ties in the Daiwa case with more recent rogue trading incidents, debunks common misconceptions of rogue traders and offers solutions to prevent future occurrences. He currently resides in Japan and continues to write and speak on the topics of rogue trading, the psychology of traders, and the role of banks and regulators in managing risk. To book Toshihide Iguchi for a speaking engagement, contact us at [email protected].